The Indoor Air Quality Association Inc. (IAQA) practices their mission of uniting practitioners in the combined effort to prevent and solve indoor environmental issues to benefit customers and the public alike. The mission of the Institute of Inspection Cleaning and Restoration Certification (IICRC) is to establish, encourage, and advance globally recognized standards and certifications for the industries of inspection, cleaning, restoration, and installation. The U.S. Green Building Council (USGBC) is transforming the way buildings, homes, and communities are designed, built, maintained, and operated. 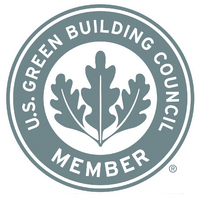 USGBC is dedicated to a prosperous and sustainable future via cost-efficient and energy-saving green buildings.